We are proud to have handed over a 2,200m2 office fit out for Flynn Management & Contractors . 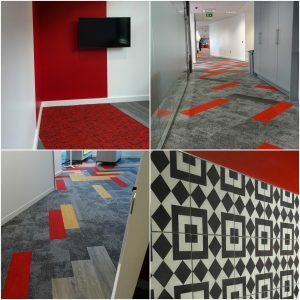 The project was completed in under three weeks and involved carpet tiles, ceramics and vinyl. The design elements of the carpet and vinyl have came out wonderfully!